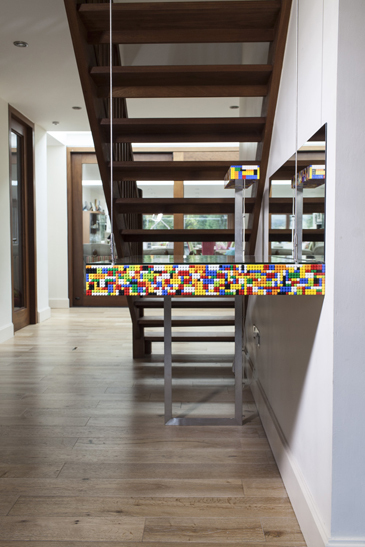 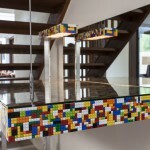 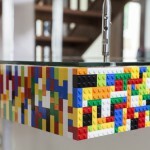 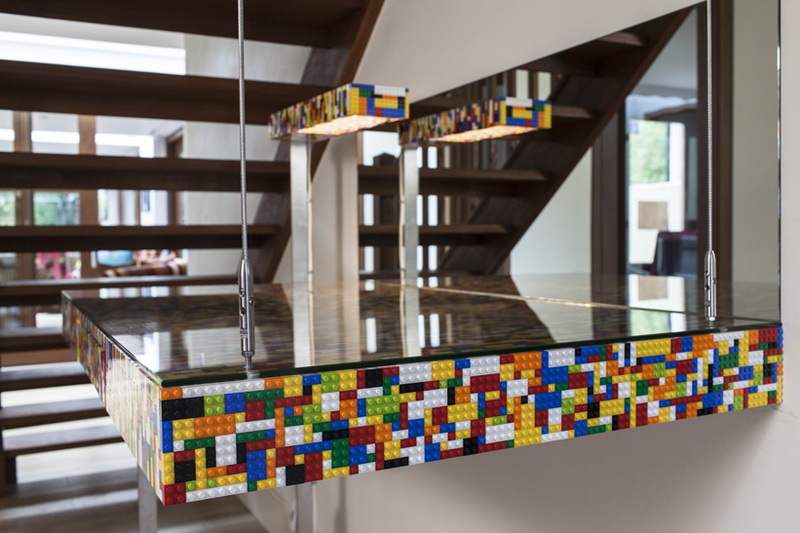 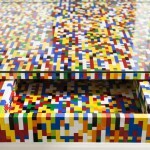 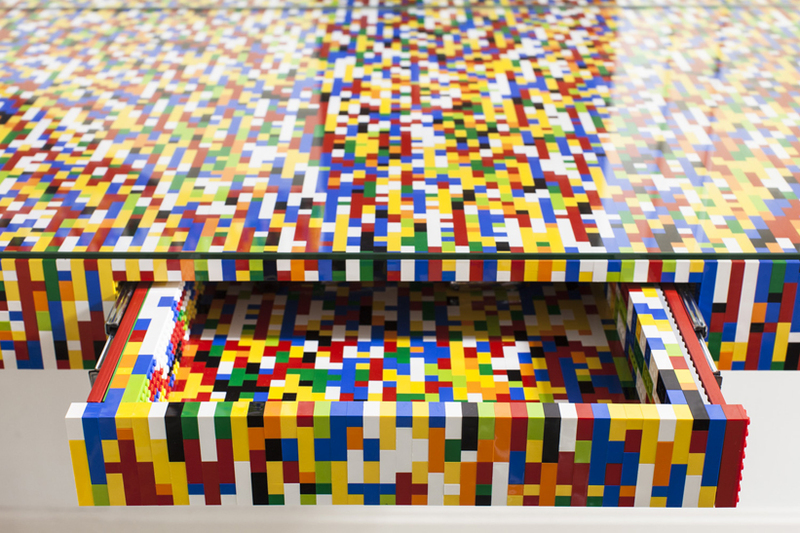 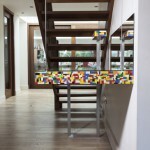 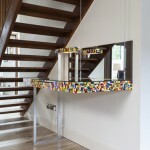 The 11,000 piece LEGO table is hung on one side from the existing hardwood staircase, and balances on the other on a stainless steel leg that becomes also the support for a reading light. 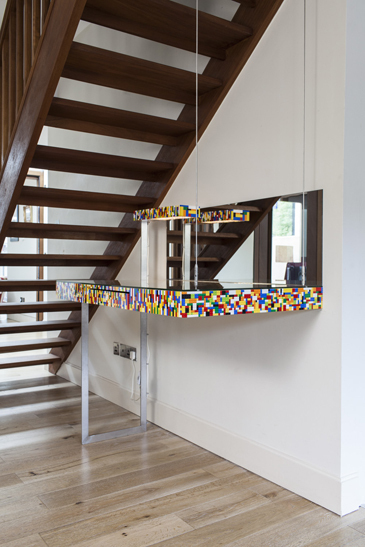 A mirror anchors the table to the plastered wall. 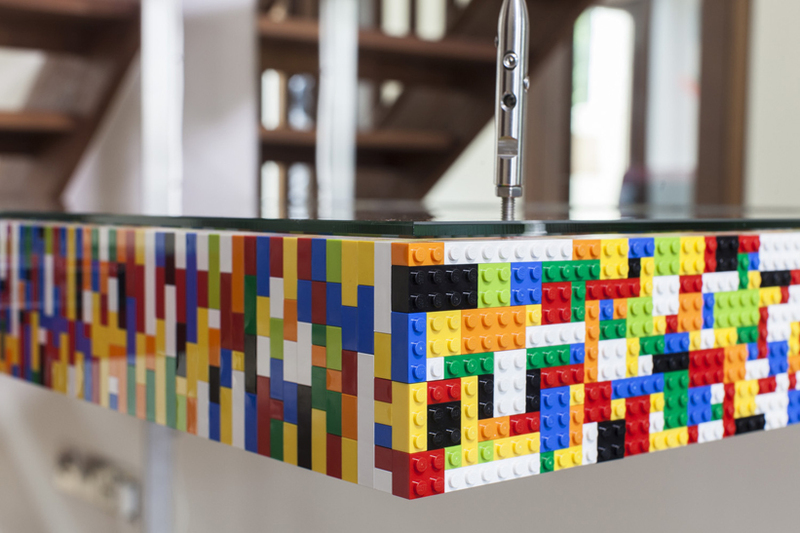 The drawer and light were essential additions to a solid LEGO form – it must be possible to use the table normally: a drawer where post and spare keys can be kept; a light for functionality.